When you go to an interview, you should know that you're not being tested on your knowledge. The interviewer is more interested in your personality, how you behave and handle situations. They want to be sure you will fit in with the others, if you can be trusted. When you talk, have confidence and be sure to back up your response with examples that are related to previous work experiences. · Be positive and always have a good attitude, let them know you enjoy what you do and that you're ambitious and enthusiastic for new challenges. · Don't show personal conflict with your employers and don't be rude. · Show that you can be professional, so don't be to relaxed. · Don't be dishonest, but present the truth in a way that it shows a positive side to fit the job. 2. Problem solving is the most important aspect of an interview. Possibly the most common situation within any job position is problem solving, so the interviewer wants to be sure they are getting to understand why you are and how you go up against problem solving, not that you can memorize answers. · Do your research on the job and company, what strategies they use and successes or obstacles they have made it though. Be sure to quote this in the interview so they know you did your research. · Always aim your answers to fit the job you're trying to get. · Provide examples to back up your answers. 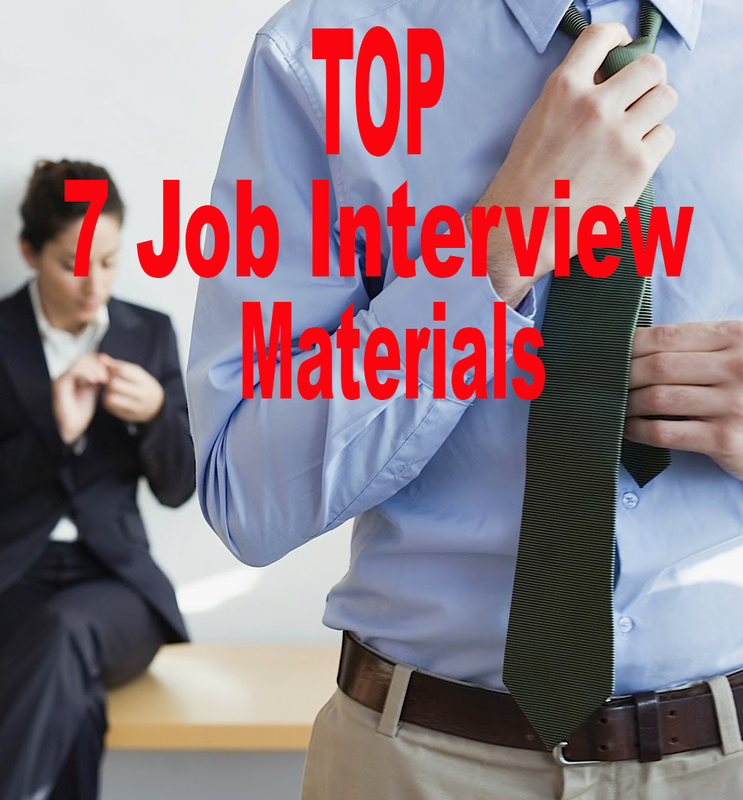 · Get the interviewer to believe your skills and experience is the best for the job. It's important to be sure you research prior to the interview so you understand more about the company. Things that you need to look into includes the strengths and/or weaknesses of the company, the trends currently in the industry, any challenges they may be facing and who their competitors are. Don't do a simple search though, if you are serious about the position, show it. Research the position you're applying for and see what you can dig up on it. Who would you be working under, who is their boss? What type of stuff would keep these people up though the night and what's the main issues they deal with? What type of tasks do they have? Knowing these types of things will allow you to better choose which stories you prepare for the interview in order to show your the best candidate for the position. You'll likely be asked difficult questions during the interview. Preparing the list of likely questions in advance will help you transition easily from question to question. Spend time researching the company. Look at its site to understand its mission statement, product offerings, and management team. A few hours spent researching before your interview can impress the hiring manager greatly. Read the company's annual report (often posted on the site), review the employee's LinkedIn profiles, and search the company on Google News to see if they've been mentioned in the media lately. The more you know about a company, the more you'll know how you'll fit in to the company. 5. Know your value proposition and how you will deliver value to your new employer. Be sure you know what the motivation of the company is, what they look for the employee to deliver, and earning a return on investment from hiring a new team member. Before the interview, you should reflect on the possible questions they will ask and how you will answer to show your contribution to the company is worth them hiring you. How can you improve the company, or correct an issue they are facing? Can you increase their returns, help speed up production and productivity? You will find your value by how you respond to these questions. 6. Tell your story to illustrate your proven ability to add value. The responses you provide during an interview are known commonly as CAR Success Stories, or Challenge-Action-Result Success Stories. Prior to walking into the interview, you should consider and make not of at least 8 to 10 Success Stories. Things to include are your best accomplishments, stories that show your strengths, and skills you should highlight. What actions did you take to complete a challenge, and what was the results? Write your CAR Success Stories down and study them so you know them back and forth, inside and out. These will be the stories used to back up your answers, or to respond to almost all of the questions thrown at you. This allows you to convert the interview from a Q&A to a positive and memorable interview that might just land you the job. Interviews are one of the few times in life where narcissism is accepted and may even be embraced. Remember, there’s a fine line between confidence and arrogance, but during the interview process, you want a beautiful balance of both. When meeting someone for the first time, we instantaneously make our minds about various aspects of their personality. Prepare and plan that first impression long before you walk in the door. Continue that excellent impression in the days that follow, and the job could be yours. + Use positive body language, and turn on your charm right from the start. + Switch off your mobile device before you step into the room. + Look fabulous; dress sharp and make sure you look your best. + Start the interview with a handshake; give a nice firm press and then some up and down movement. + Determine to establish a rapport with the interviewer right from the start. + Always let the interviewer finish speaking before giving your response. + Express yourself fluently with clarity and precision. 9. Tell your story to illustrate your proven ability to add value and make it about how you can help the company. You must sell your product, which is yourself, to land the job. Be prepared to tell the interviewer why he should hire you. Some interviewers may not ask you directly to explain why you are the best candidate for the job. Whether you are asked or not, be sure to fit in a response during the conversation. Be confident and concise in explaining why you believe you should be hired, and why you will do the best job possible. Include your qualifications in your sales pitch. In Part 9, you can see the importance of the “tell story” model. However, do not wait for the employer to ask you, because you may not get a chance to tell stories that highlight your core values. Have you ever wondered how to get an opportunity to prove your skills? There are not many opportunities for you to tell your stories. Remember, Opportunities Are Created, Not Given. Many of us don’t recognize that the hidden job market is a huge one and accounts for 2/3 of total job demand from enterprises. This means that if you know how to exploit a hidden job market, you can increase your chance of getting the job up to 300%. Here are some sources to get penetrating into a hidden job market: Friends, Family, Ex-coworkers, Referral; HR communities, Field communities, Social networks such as Facebook, Twitter, Last recruitment ads from recruiters, and HR emails of potential recruiters. As alluded to above, you should always be ready to learn during an interview. Jeannie Kahwajy, an expert on organizational behavior, performed research that demonstrates that candidates who are willing to learn can turn negative interviews around. Jeannie ran experiments involving mock interviews. A recruiter was primed to have a negative bias toward a candidate. Of the three groups of candidates, one was instructed to prove they should get the job; one was told to learn from the interaction; and the final group, the control, was given no specific instructions. She found that the recruiter’s negative bias was reinforced for the control group and the group that tried to prove they should get the job. However, ALL of the candidates who set out to learn from the interaction reversed the recruiter’s negative bias and were offered a job. There are a number of ways to prepare for an interview at home without the help of a professional career counselor, coach or a fee-based service. You can practice interviews all by yourself or recruit friends and family to assist you. Do not leave the interview without ensuring that you know all that you want to know about the position. Once the interview is over, your chance to have important questions answered has ended. Asking questions can also show that you are interested in the job. Be specific with your questions. Ask about the company and the industry. Avoid asking personal questions of the interviewer, and avoid asking questions pertaining to politics, religion and the like. 15. Follow up and send a thank-you note. Following up after an interview can help you make a lasting impression and set you apart from the crowd. Send both an email, as well as a hard-copy thank-you note, expressing excitement, qualifications and further interest in the position. Invite the hiring manager to contact you for additional information. This is also an excellent time to send a strategic follow-up letter of interest.